Previewed by the H5X concept at the Auto Expo 2018, the Harrier is easily the most anticipated model from Tata Motors in recent times. The 5-seater SUV, which will launch in January next year, will become the flag-bearer of the company's product portfolio. Much is being discussed about the new 5-seater SUV, the major highlight of which is the SUV's Omega Arc platform, which, in turn, is based on the Land Rover's L550 architecture. Another talking point of the new flagship is its FCA-sourced 2.0-litre diesel engine, which has received the 'Kryotec' branding under Tata's umbrella. The frosting on the cake comes in the form of the utterly swanky exterior design, which mimics the concept avatar to a great extent. 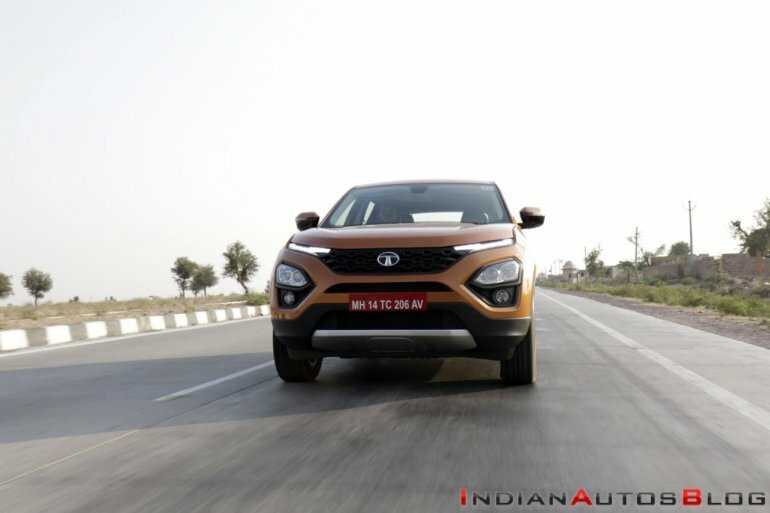 Our Tata Harrier review should help you find out if all the above makes the new offering a truly world-class product. A Promise Kept . . .
Pratap Bose, the design leader at Tata Motors, had assured that the Harrier would look almost entirely like the show car that broke covers at the 2018 Auto Expo, and a quick look at the Harrier is enough to establish that the final product has stayed true to the H5X. 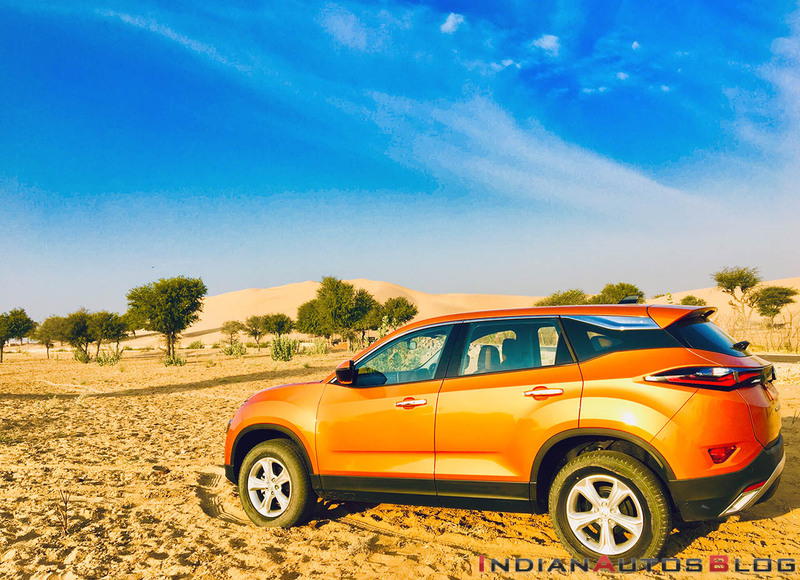 Barring a few details, which were, of course, infeasible to be pushed into production for the price that Tata wished to position the SUV at, the new model remains true to its concept. The highlight of the exterior design is the distinct front fascia, which features the Euro-spec multi-tier lighting arrangement and the Tri-arrow pattern. The blade-like DRLs inject a dose of freshness into the facade and double up as turn indicators (neat!). The low-placed main beam is courtesy a set of HID projectors that are flanked by the foglights. While the rather radical look of the front-end could polarise opinions, there's no denying the butchness as well as the flamboyance of the design. A look at the side profile of the Harrier is enough to establish its large dimensions. In fact, at 4,598 mm, the 5-seater SUV is 13 mm longer than the Mahindra XUV500. Its wheelbase, at 2,741 mm, is identical to that of the Land Rover Discovery Sport. Highlights of the design include chunky ORVMs, flared wheel arches, an upward sweeping beltline, and a blacked-out D-pillar for the floating-roof effect. Highlights of the rear-end include sleek LED tail lights that form a visual connection with the front-end and centre-positioned Harrier badge. Overall, the SUV looks absolutely nothing like anything in the market, with a design that is likely to stay fresh for many years. While the exterior is a reflection of the H5X, the interior boasts a more conventional design with buttons and knobs for various controls instead of the many touch-sensitive panels found on the concept. That said, the dashboard looks sufficiently upmarket, with a slab of faux wood and a soft-touch top. Furthermore, the high-quality oak brown upholstery coupled with metallic trim around the air vents and on the door pads help the cabin look befitting of a premium product. The fit and finish is a clear sign of how far Tata Motors have come in the last few years; we were hard pressed to find a section of low quality plastic or ill-fitting panels. The Tata Harrier, especially in the top-spec XZ trim, comes with the bells and whistles. The 8.8-inch touchscreen infotainment unit is the widest ever seen on any Tata model and supports Android Auto and Apple CarPlay. A 7.0-inch screen that forms much of the instrument cluster displays the tachometer along with a plethora of information. Other highlights of the features list include a cooled storage box below the front armrest, automatic headlamps, rain-sensing wipers, pillar-mounted rear AC vents, 8-way adjustable driver's seat, and a multi-function steering wheel. The large dimensions translate into a spacious cabin. Occupants in both front and rear enjoy decent legroom, shoulder room, and headroom. The abundance of leg space should make the new model a favourite of the chauffeur-driven. The boot-space, at 425-litres, isn't too much on the paper but was found sufficient to carry multiple bags and our shooting equipment. The cabin features many cubby holes to help you easily store your knick-knacks, including dedicated slots to hold a tab, cellphones, and umbrellas. While we don't have any significant grouses with the material quality, fit and finish, or equipment on offer, the ergonomics aren't spot on. The 12V socket at front and rear are hard to access, while there's a huge blind spot near the A-pillars. 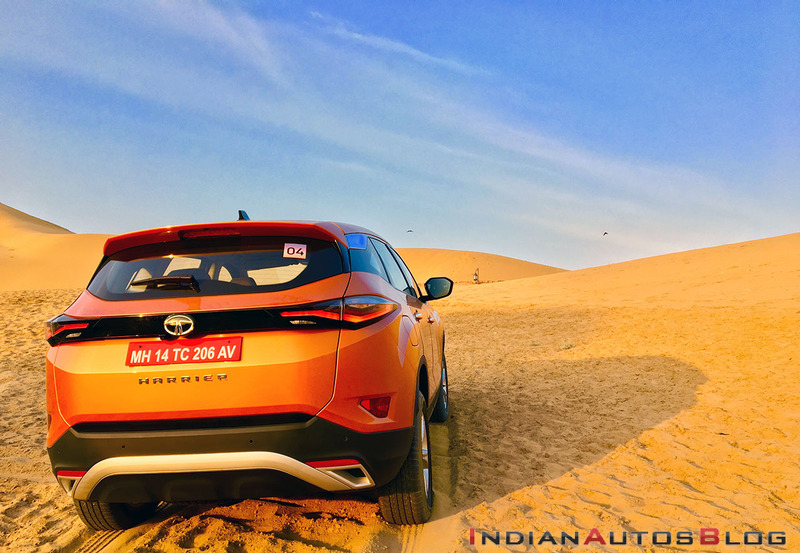 The Tata Harrier's FCA-sourced 2.0-litre four-cylinder turbo-diesel engine is a familiar motor that does duty on the Jeep Compass. For the Harrier, however, the motor has been de-tuned from 173 PS to 140 PS, while retaining the torque output of 350 Nm. Currently, the only transmission on offer is a 6-speed manual unit. In spite of the drop in power and more than 100 kg of additional weight, the Harrier feels sufficiently quick off the block. While the 'Eco' mode can be used to optimise the fuel efficiency while trodding along the congested streets, the 'City' mode works just fine in most usage conditions. That said, we recommend the usage of 'Sport' mode on the expressway. In the latter, the new model feels quite sprightly and rewards the driver with sufficient punch across the rev-band. In fact, the Harrier feels as vigorous as the Compass. The turbo lag is well-controlled, and the motor comes to life at just 1,750 rpm. The six-speed manual transmission offers well-defined ratios, but the gearshifts get slightly notchy. The clutch isn't heavy, but the pedal travel will make you long for an automatic. The NVH could have been slightly better controlled at high engine speeds. That said, we are probably nitpicking. 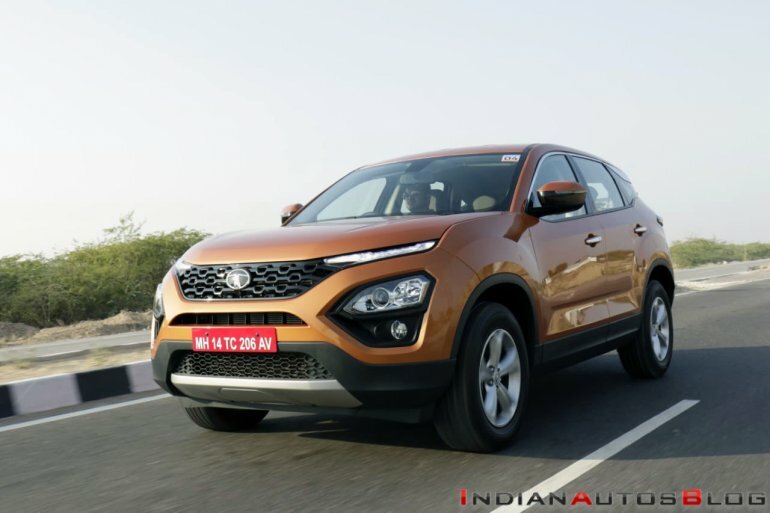 While the Tata Harrier is a sufficiently potent performer at expressway speeds, what has us impressed is the excellent balance the company has achieved with the SUV's ride and handling. The JLR L550-based platform and the Lotus-tuned suspension has paid dividends. The suspension easily soaks up even the bigger of the undulations, without letting the passengers have an idea of the state of tarmac. The ride quality is so good that you tend to draw comparisons with some more expensive SUVs. The adequately powerful engine and the excellent ride quality makes the Harrier a mile muncher. The handling isn't bad, either. The Tata Harrier features a hydraulic power steering that weighs up well with speeds and offers sufficient feedback. Quick steering inputs at high speeds do expose a slight body roll, but it's nothing that you won't expect from a car of Harrier's height. 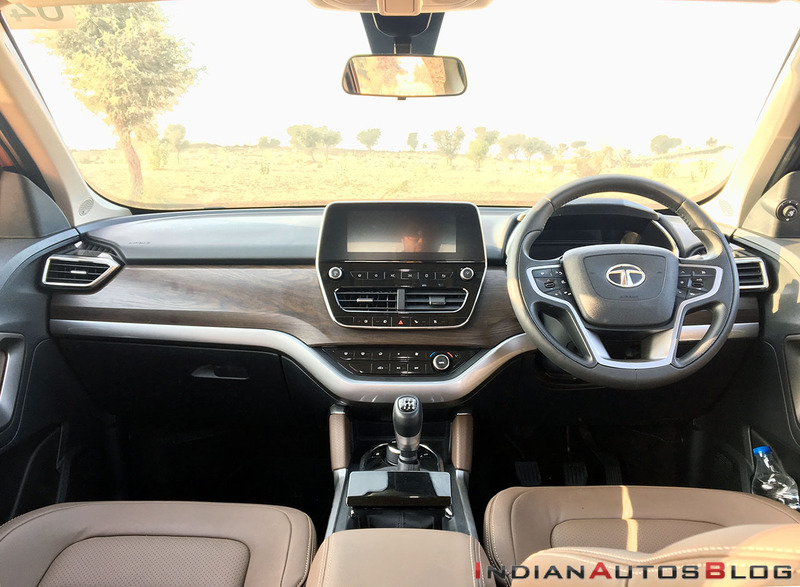 The high-speed stability is impressive, with the new Tata flagship staying well-planted. The Harrier truly signifies that its manufacturer has finally come of age. It's not perfect - the ergonomics and the lack of an automatic option right from the onset stand out like sore thumbs. However, the new model comes across as a well-rounded offering that excels in many aspects (read: design, engine performance, ride and handling). Moreover, it's a world-class product that should help Tata Motors have its competitors worried. 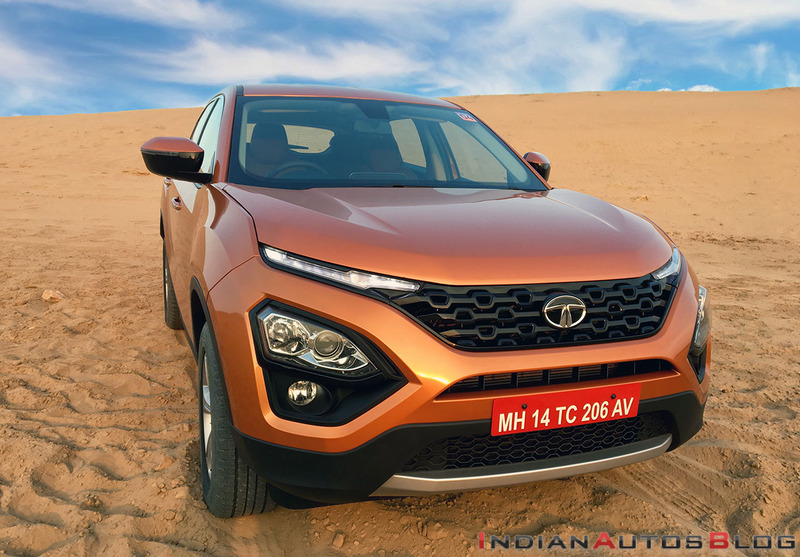 While prices of the Tata Harrier aren't out yet, it's expected to cost in the range of INR 16 lakh to 20 lakh (on-road). At this price point, the new model should come across as a great value proposition.